The Speed and Strength Killer Queen collection by Speed and Strength brings a cool, retro style to protective gear for the modern woman rider. 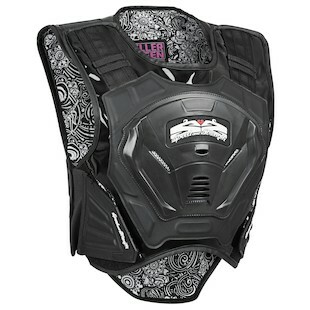 Whether you’re riding a cruiser or sportbike, these two will encourage every woman to gear up for the ride. Next are the Speed and Strength Killer Queen Jeans, perfect for a night out on the town with a casual look and style. Skinny jeans are in, so why not have a pair for riding too? With removable knee armor and Kevlar fiber thread reinforcements in the seat and knees, these jeans provide a little more protection than your department store jeans. The fit is made for riding position, so they’re comfortable on the bike, but they will look amazing off the bike. 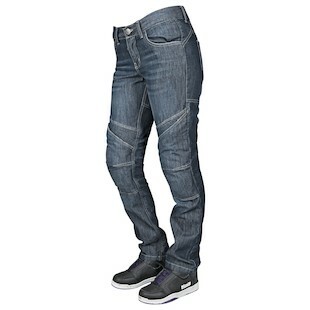 With a super skinny fit, these jeans will hug you a little closer than other riding jeans. Whether it is gearing heavily for more aggressive rides with the Killer Queen Armored Vest or styling up for a night on the town with the Killer Queen Jeans, Speed and Strength has developed a line for the focused female motorcyclists.